Energy Monitoring Device | Simply Connect Pte Ltd. 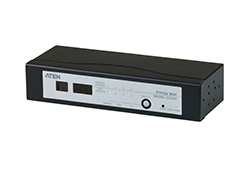 The EC2004 Energy Box is the latest evolution of NRGence™ – ATEN's energy intelligence solutions. EC2004 Energy Boxes provides instant real-time power management and energy-saving control for data centers– allowing you to upgrade and maintain your current IT power resources quickly and cost-effectively.